We provide the highest quality treatments for patients who have suffered from a car accident related injuries. We realized that dealing with the aftermath of the car accident can be extremely stressful. The entire incident raises havoc on personal lives. Sometimes it affects families, jobs and quality of life. More often than not, patients tend to more concerned about getting the car fixed. Rightfully so, they need their vehicles to get to work, take their kids to school, etc. 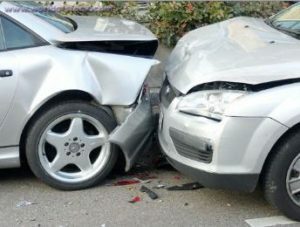 However, the injuries sustained in a car accident, might be subtle but if left untreated could lead to other problems. At first, you might experience muscles stiffness, soreness and fatigue. Why fatigue, you make ask? Because, your body is working very hard to heal itself. Even if you are just sore, you should get checked out immediately because you may experience pain numbness, headaches and other problems including arthritis many months down the road. Keep in mind, nothing is more important than your health, especially when you start to lose it. Thankfully, most patients don’t suffer broken bones. However, soft tissue damage can linger. Muscle relaxers and pain medication merely mask the problem. We combined chiropractic treatment with myofascial release and massage to address soft tissue injuries. Chiropractic treatment will help reduce inflammation and restore motion. People who receive prompt chiropractic care after an accident are less likely to experience long term issues. Unfortunately, left untreated, these injuries are the leading cause of chronic pain. The initial evaluation is about 60-90 minutes. This is the time necessary to determine the extent of your injuries and how to best treat those injuries. 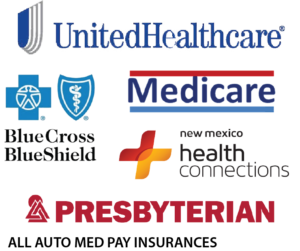 We thoroughly document your injuries throughout your treatment and provide documentation which is understandable to the insurance companies. This is critical when trying settle your case. Dr. Arthur C. Croft is the director of the Spine Research Institute of San Diego http://www.srisd.com/consumer_site/He has been actively engaged in whiplash research for the past 26 years and co-authored the first textbook on whiplash. He is considered the leading expert regarding motor vehicle crash dynamics and injuries. The initial evaluation is about 60-90 minutes.